So as to show a date field(with a calender pop up similar to standard date input on standard record edit page) as input on a visualforce we need to make sure that the visualforce inputfield component is binded to a salesforce object field. For this we can create a dumy object insatnce. 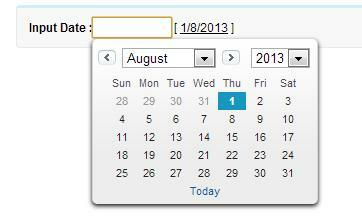 We need to make sure the date field which we are going to find be defined in the variable insatnce.